Every impression a business makes with its customers is vitally important. When it comes to start-up businesses, new company stationery design is especially important as this may be the first impression the customers receives. In the case of Accountancy Services, we developed a full set of new company stationery design using the eye-catching bronze crown logo and modern typography. The business card features a solid bronze reverse for impact. The company prides itself on being highly professional yet approachable, a simple brief for this new company stationery design. 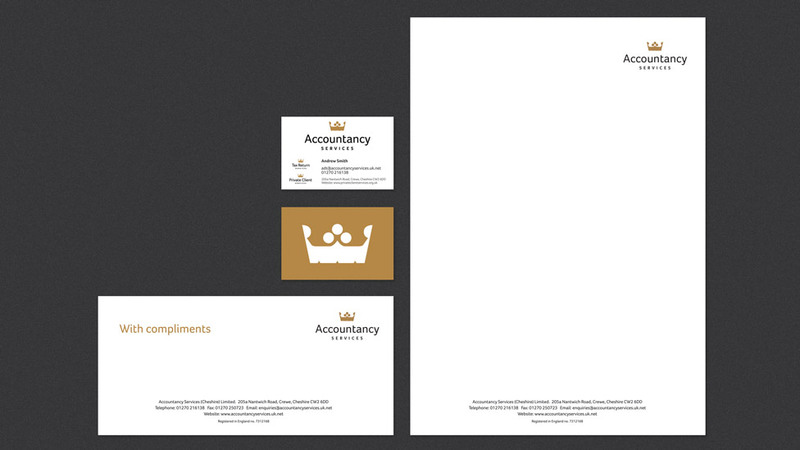 The simplicity of the Castle Tile & Bathroom Studio logo was carried over into the corporate stationery design. With such a distinct graphic element and colour combination, the castle icon stands out and is clearly identifiable.